Are you looking for the best brake service provider in Kitchener? According to the "Three Best Rated" website, Hansma Automotive was chosen as the best car repair shop in Kitchener. Three Best Rated is a website which handpicks the top 3 local businesses, professionals, restaurants and health care providers in a city. The businesses chosen do not pay to be listed, so you know that you are getting an unbiased opinion. They carefully make their choice based on the business's reputation, history, complaints, ratings, satisfaction, trust, cost, and general excellence using their 50-Point Inspection. If you need your brakes checked or repaired contact the brake specialists at Hansma Automotive. Hansma Automotive is the best brake service provider in Kitchener because of their high quality work, excellent customer service, and experienced professional staff. At Hansma Automotive we can do repairs to your existing brake system without having to replace all of the parts. We will fix only what needs fixing or replacing. You can trust us to never do extra, unnecessary work. If your brake pads are worn, we will replace them. It's a good idea to have your brakes checked once a year or every 50,000 km. to catch worn pads before they become a bigger issue. Replacing worn pads before they damage the disks or drums is very inexpensive compared to the much higher expense of fixing or replacing damaged disks or drums. Read more about our brake repair service here. If your brake pads have worn down completely they may have damaged your rotors. If your rotors are damaged they will need to be turned or replaced. Read more here. Most newer vehicles use a disc brake system. Your calipers are vital to this type of system. According to HowStuffWorks.com, the caliper fits over the rotor like a clamp and its job is to squeeze the brake pads against the surface of the brake rotor to slow or stop the vehicle. Healthy brake calipers are essential for safe vehicle operation. If your calipers are damaged they will need to be replaced. In a drum brake system, wheel calipersexert force onto the shoes to bring them in contact with the drum. Wheel cylinders have two pistons, each with a rubber seal and shaft that connects it with the brake shoe. When you apply the brakes, the pistons are pushed outwards, connecting to the drum and thus slow your vehicle by friction. If your wheel cylinders show signs of leaking, they must be rebuilt or replaced. This is a relatively inexpensive job. 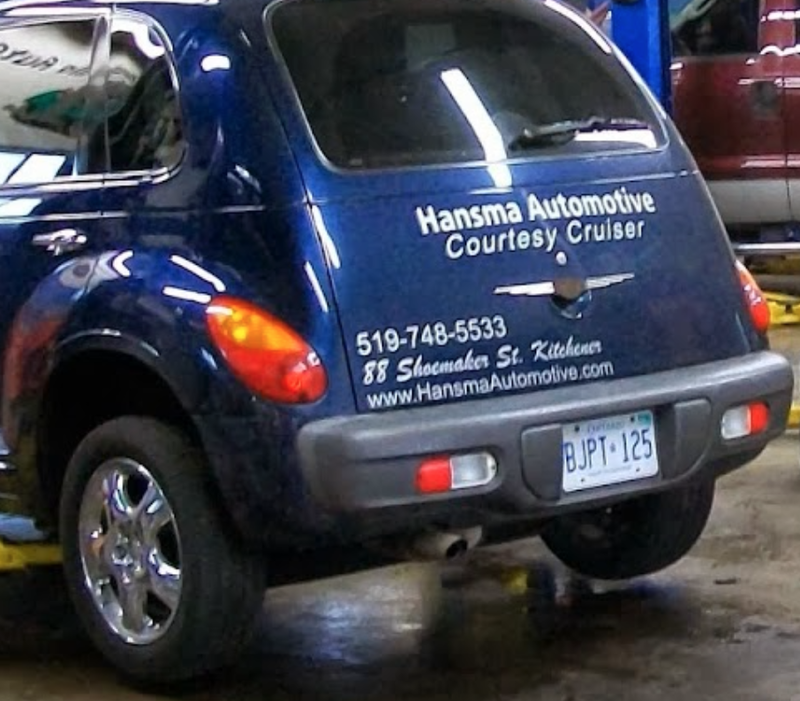 The team at Hansma Automotive is made up of friendly and highly trained professionals. You can trust them to only recommend and carry out the repairs that you actually need. They will let you know what you need done and when it should be done. Our customers have come to trust us and that's why they keep coming back and why they are willing to highly recommend us to their family and friends. Click here to meet our friendly team.